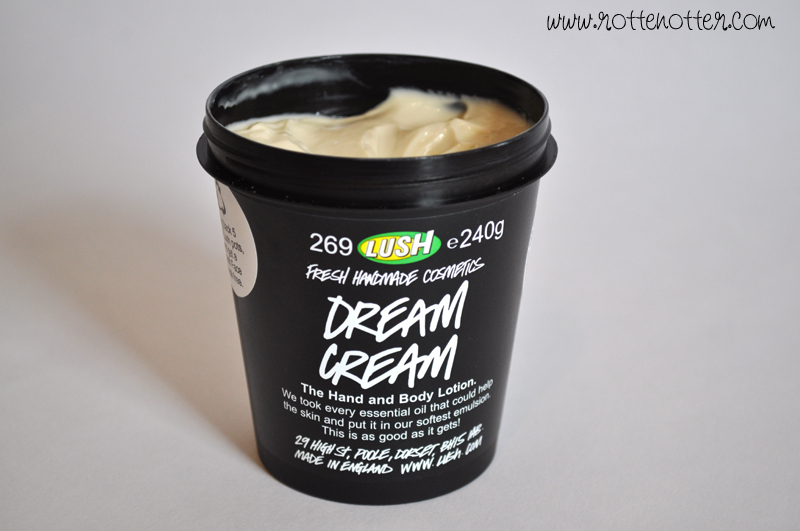 Both Abby and Clare from my work recommend Lush’s dream cream for eczema, along with a lot of other people, and I’ve only just bought a tub to try it out myself. The reason I haven’t picked it up before now is the price, £10.25 isn’t cheap for a product that could actually make my eczema worse. My legs have been particularly bad recently so now is a good time to test it out. I love the smell, it’s quite a subtle scent so won’t distract away from your perfume unlike other products from Lush. I apply it all over before I go to bed and at any point during the day if my skin is feeling itchy. It really does help and calms my skin down so I don’t scratch it. I just wish they sold a smaller pot so I could carry it round in my bag, this can be easily solved though by putting some in a travel/sample pot. It doesn’t make my eczema go away as quick as steroid creams do but it does really help. Plus there aren’t any side affects when using it unlike steroid creams. I find it doesn’t soak in quick enough to be used as a hand cream but this is fine when used as a body lotion. Definitely one I’ll be buying again and again as it’s such a great moisturiser let alone a good eczema cream. I think I got a sample of this a few months back and although it's a great moisturiser I dislike the greasy feeling so I chose Smitten instead. I know that Smitten has gone to retro now, but it costs half the price of Dream Cream (probs cos it's half the size), but it also lasts aaages. I use it every night on my hands and since buying it in October I've only just hit the bottom. I highly recommend The Body Shop's Shea Body Butter. I use it everyday. My skin starts to crack and bleed in the winter, and it really helps. It stops the itching immediately.